Contemporary art has advanced a lot in past few years, and Charles Wilkin has become almost a definition of that. For over 15 years Charles astonishes us with his collage art, although he’s walking on the thin line between weirdness and enchantment. Wilkin’s art exhibited in different galleries all over the world… as well as featured in numerous contemporary art and design magazines. 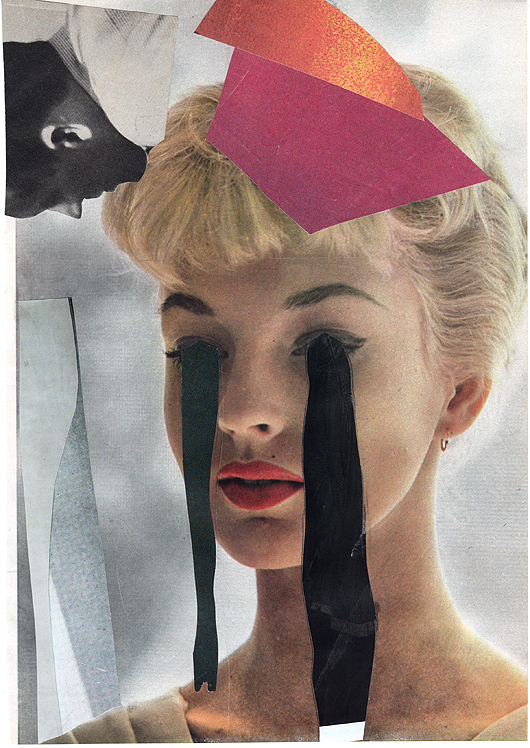 Author is focusing on vintage pictures, altering faces and bodies, and the resulted distortion often reminds Piccaso’s artworks. According to the artist, his work “investigates the innate struggle between cause and effect”. By composing totally unrelated details and pieces of different sources, Wilkin gives tribute to frenetic nowadays world and transforms overall image into both – mysterious and explicit. Although it is hard to understand, what’s going on in guy’s, which is keeping bees, practicing speed metal guitar and getting pilot’s license, mind, his art rivets attention and makes you reconsider collective assumptions and ambitions for the future.